All CIC™ clients with Experian’s credit will be automatically upgraded to FICO® Score 9 for free! While the outdated FICO® Classic version is still widely used in the rental industry, CIC™ is providing their multifamily clients a more accurate indicator of credit risk with FICO® 9. Contemporary Information Corporation™ (CIC™), the nation’s leading provider of tenant screening since 1986, is proud to announce that they have upgraded their credit data to FICO® Score 9. All CIC™ clients who utilize Experian’s credit in their screening reports have automatically been upgraded to the latest version FICO® Score 9 for free. 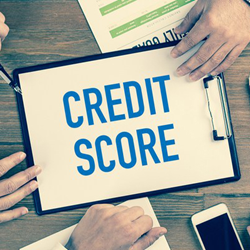 FICO® Score 9 formulates credit scores in three different ways. First, medical bills will no longer impact the consumer’s credit score as heavily as non-medical debt. Medical debt is not something a consumer can voluntarily sign up for, so it is not a good indicator of credit risk. Secondly, the new formula now disregards any collections that have been paid off in full. Lastly, rental payment history will now be factored into the credit score (dependent on the applicant’s rental payment history being reported to Experian® RentBureau®). While the outdated FICO® Classic version is still widely used in the rental industry, CIC™ is providing their multifamily clients a more accurate indicator of credit risk with FICO® 9. The company aims to provide their clients with the best tenant screening data, and they are confident that this switch will empower their clients with the Power of Decision. For more information about CIC™’s tenant screening reports (enhanced with FICO® Score 9) visit https://www.cicreports.com/.